Orange presented this morning its results for the first half of 2018. The operator starts the year well with a net profit of 879 million euros for the first six months of the year. The Orange group has published the financial results for the first half of 2018. Turnover reached 20.262 billion euros, up 0.9%, and EBITDA reached 5.984 billion euros, up 2, 6%. Operating income reached 2.35 billion euros (+ 2.8%) and net income reached 879 billion euros (+ 21.4%). Turnover increased in almost all sectors: France (+ 1.4%), Spain (+ 3%), Europe (+ 1.2%), Africa & Middle East (+5, 7%). The Business sector was stable over the year while the Shared Services & Services business was down (-6.2%). In the first quarter, Orange lost 72,000 customers (subscribers + prepaid). In the second quarter, Orange regained 72,000 customers, despite the loss of prepaid customers (-65,000). Thus, the operator has 21,803 million customers. The number of subscribers to an Orange mobile plan reaches 19,027 million, up 137,000. The increase in subscribers is due to convergence offers (Open and Sosh Mobile + Livebox), which are up 117,000 subscribers. Orange has 8,979 million Open subscribers, up 107,000, of which 3.4 million subscribers to a mobile plan for Open (multi-line Open), up 69,000. Sosh returns color to 3,739 million customers, up by 102,000. MVNOs using the Orange network (CIC Mobile, Bazile Mobile, NordNet Mobile, etc.) reached 1.141 million subscribers, up 19,000. Orange announces a 4G coverage of 98% of the population. Orange has 11,321 million subscribers to an Internet offer at Orange and NordNet. FTTH optical fiber is approaching 2.25 million subscribers, up from 120,000 subscribers. The bulk of the new fiber subscribers come from Orange's xDSL subscribers. As a result, xDSL subscribers dropped by 82,000 subscribers or 9.028 million xDSL subscribers. A large portion of xDSL subscribers is in naked xDSL (without fixed Orange PSTN subscription) with 7.386 million lines, down 5.000. The other technologies (fixed LTE, satellite, WiMax, ...) represent 46 000 customers. 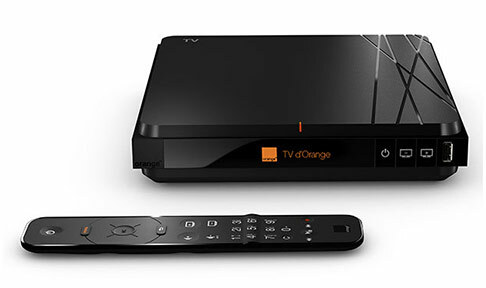 Orange TV has 6,912 million users in xDSL / FTTH and satellite, up 45,000 new set-top boxes. The convergent offers (Open and Sosh Mobile + Livebox) reach 6,097 million subscribers, up 55,000. Livebox subscribers migrate more easily to Open offers: Livebox subscribers alone are down 19,000, or 5.224 million subscribers. Livebox subscribers. On its fixed network, Orange has exceeded 10 million homes eligible for FTTH fiber, with 10.311 million eligible households. An increase of 662,000 new homes and eligible business premises.